A 1989 graduate of National Institute of Design, Ahmedabad, Ashwini is the co-founder of Elephant*, India’s largest independent integrated design consultancy with offices in India & Singapore. She has done award-winning work for global brands in diverse segments. Some of the awards include Global ReBrand 100 (USA), Worldstar (Germany), & Asiastar (Singapore) for Packaging Excellence, A’Design Awards (Italy) and Best of the Best at CII Design Excellence. Ashwini was invited by Rockefeller Foundation to participate in Global Social Impact workshop and by Danish Design Association to form the Copenhagen Co-creation Manifesto. She has lectured across more than 20 countries including ICOGRADA Design Week, Business of Design Week and International Design Congress. She has been jury at Cannes Lions (France), Global ReBrand 100 (USA), The One Club – Young Guns 16 (USA), Spikes Asia (Singapore), Design for Asia (HK), Kyiv IAF (Ukrain), International A’Design Awards (Italy), Design for Change (India) & Kyoorius Design Awards (India). At the upcoming D&AD Awards 2019 in London, Ashwini will be Jury President. 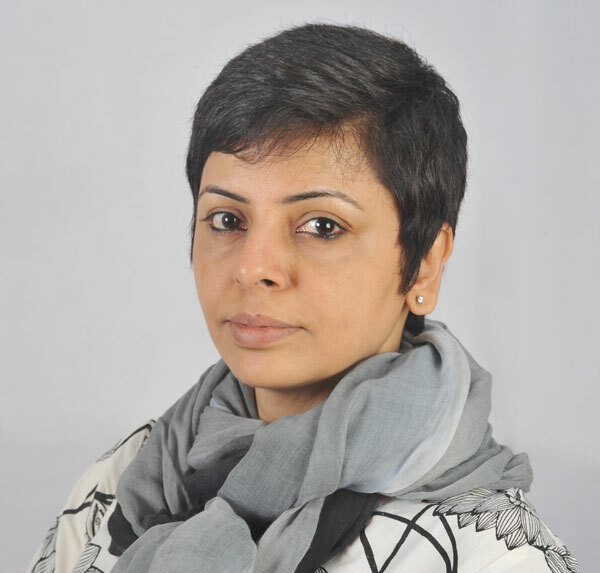 Impact magazine has recognized Ashwini among 50 Most Influential Women in Media for four consecutive years. She received Amrutwel Foundation’s SuperWoman 2017 Award from Mayor of Pune city and Leader of the Decade Award at the Women Economic Forum in Delhi in 2017. Ashwini mentors start-ups through “Nurture” initiative of TiE and from the advisory board of Indian Institute of Management CIIE programme. She is also mentor to the Vedica Scholars Programme. She is on the Advisory Board of School of Design, Pearl Academy. * The Economic Times Brand Equity Agency Reckoner has ranked Elephant as No 1 Design Agency multiple times including their 2017-18 listing. At the first India edition of Lexus Design Awards, Elephant was declared as Design House Of The Year in February 2018.